Harrison had a great party! Tim and Archie were fab and everyone loved it. Our birthday packages start from £195 for 12 children, and can be completely tailored to fulfil your child’s wishes and ensure every JCss child has a fantastic day to remember! Perfect for any big or little kids from 5-105. No need to tidy up the mess afterwards! We provide all equipment and will ensure all party guests have an unforgettable, fun-filled JCSS party, especially the birthday child. Upon confirming your package we just require a 50% deposit with the remaining balance paid 1 week before the party. Your Email (required) Please leave this field empty. If you still have any questions, feel free to give us a quick call on 01908 410955. How about making your party extra special? Please contact us if you would like a bespoke party package. We also have a range of inflatables* plus much more that can be requested to make your birthday memoriable and would be talked about for a long time to come! 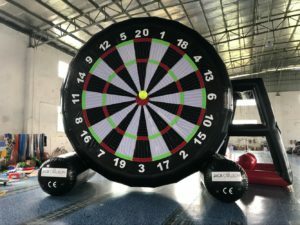 Standing at an impressive 5 meters tall, using fuzzy velcro balls (think tennis balls, but bigger), the aim is to score the highest after 3 balls, or try a standard dart scoring starting at 501 – This part is up to you! We will provide the dart board, equipment to inflate, balls and a stick to help retreive any double top balls! 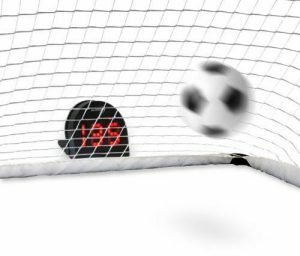 At 4 meters wide and 2.5 meters high, it’ll be hard to miss normally… Except with a ‘virtual’ goalie included you will really need your best skills to beat ‘him’. 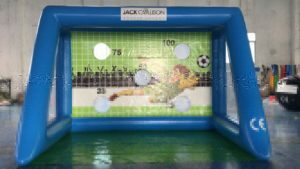 Great for adding a challenge with added scoring, so put your best foot forward and show off your accuracy with this handy goal. How fast can you score a goal from a penalty spot to the back of the net? Challenge your friends to see who has fastest kick! 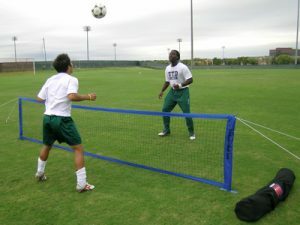 Practice your keepy-uppys, headers and vollies with our soccer tennis net. Keep the ball off the ground as long as possible with your teammate in this tough and challenging game. 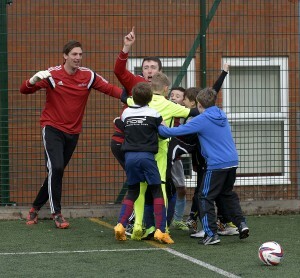 Jack Collison soccer school offers football coaching to all ages, genders and abilities. We aim to provide professional football coaching at grassroots level, improve your game, give you an insight into how to make it to the very top and most importantly, enjoy playing the beautiful game. Improve your game and become part of Jack Collison soccer school with our football camps and sessions.